DroidSheep is Android Wireless Security Application you can use this application to test security analysis on your Wireless system. It is a Basically Session Hijacking application which means you can access to other peoples profiles and accounts that are on same Wi-Fi network. You can capture web sessions of other users by hijacking their Cookies and Sessions. Droid Sheep acts as a router to capture web sessions by ARP Spoofing method and if any profiles or accounts are active on the network it will give you access to those accounts. You can check security of your Wireless Network for any possible vulnerability using this application. 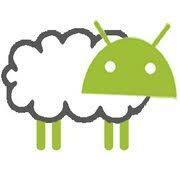 You can download DroidSheep APK Latest Version Free from given link below. Secure your Wireless Connection with DroidSheep APK, If you want to do a security analysis then Droidsheep is one the best tool to Secure you Android Phone over Same Wifi Networks. Download Link is given in the end of this post you can download the latest version of DroidSheep from Below Link. Before Installing Make Sure to enable Unknown Resources on your Android Smart Phone you can do it from your Phone > Settings > Security > Unknown Resources > Check Enable. Due to its clean and easy to use user interface this app is very easy to use but if you have still any problems regarding this application you can ask using below Comment form on our Website, Our expert team will get back to your query as soon as we get it. Secure your on-going Sessions and Cookies by Doing Security Analysis. Check for any possible bugs on your Wi-Fi System regarding Sessions Hijacking. You Can Download This Application for Free without paying any charges. Check whether any suspicious activity going on your Network. Note: We suggest you to use this application for security analysis only and Educational Purposes.